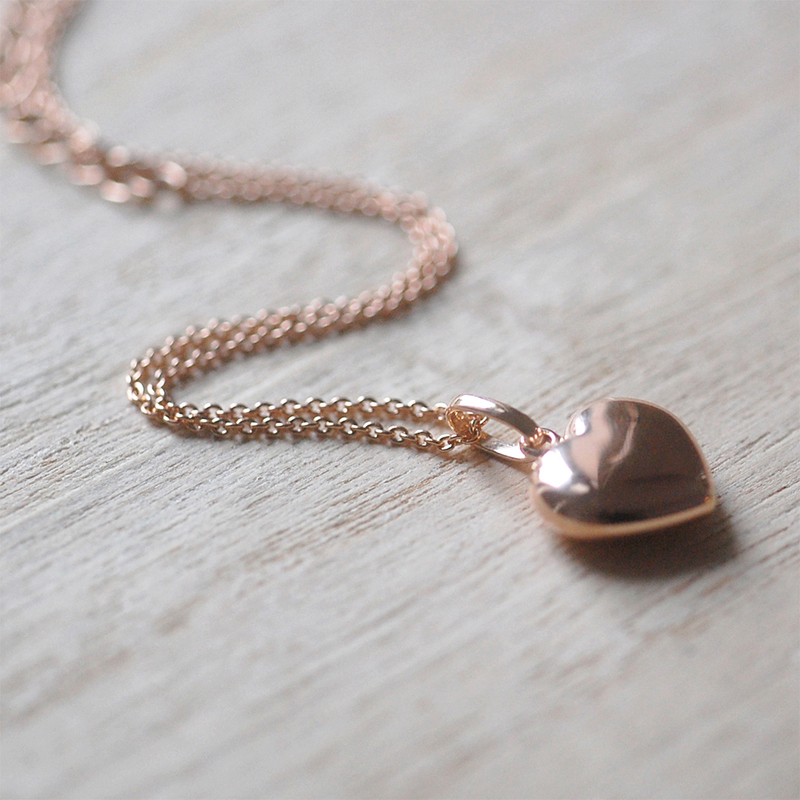 This beautiful puffed rose gold heart necklace will look stunning on your loved one, an ideal gift for Valentines' Day, Mother's Day or an Anniversary. With a 22 inch chain, the rose gold plating on sterling silver creates a beautiful piece of jewellery that will last forever. This gorgeous necklace comes in a stylish gift box which is personalised with an engraved nameplate attached to the lid; you can have anything engraved on your plate over three lines (25 characters per line), making it an extra special gift! We are able to deliver this world-wide, please select the worldwide postage option in the personalisation tab. Free UK Delivery (2-3 days) via Royal Mail. We will notify you once your Puffed Rose Gold Heart Necklace has been dispatched.